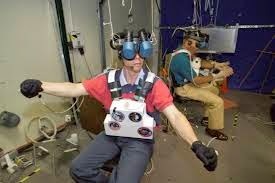 Oculus Rift headsets is now being used by the British Army for its latest recruitment drive to give wearers the experience of a 'real-life scenario' of volunteering. The wraparound headset, which is being used at a recruitment event in London’s Waterloo Station today, will immerse members of the public into a live fire exercise with the Army Reserve on Salisbury Plain. 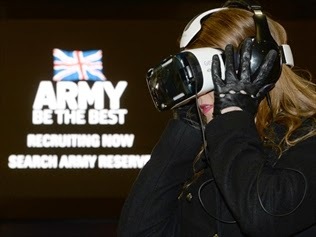 British Army launched the new recruitment campaign for the reserves that involves an immersive experience involving the Oculus Rift virtual reality headset. The first "experience" being launched drops the wearer into a live fire exercise with the Army Reserve on Salisbury Plain. As a crewman in a Challenger 2 tank, the wearer is surrounded by other tanks that are engaging enemy positions using laser sights, as well as communicating with other soldiers in armoured vehicles driving alongside them. The army says it will add further experiences in the future. The Rift headset is made by Oculus, a virtual reality specialist firm which initially received funding for the device through crowd-sourced funding site Kickstarter. The Oculus Rift gained more than $US2 million ($A2.16 million) in backing when it was first unveiled in 2012, and last year Oculus was bought by Facebook for $US2 billion. "With Oculus, it's that they're the clear leader in something that has the potential to be the next important, or one of the next most important, computing platforms," Facebook co-founder Mark Zuckerberg said at the time. 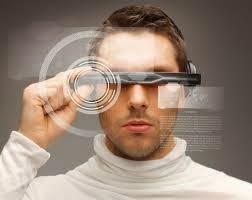 The headset is yet to go on consumer sale, though it is available online as a development kit.